It starts with a class-leading combination of suspension, load capacity and comfort in a rugged but lightweight chassis. Put it to work towing up to 500 lbs and carrying a load on impact-resistant front and rear racks. 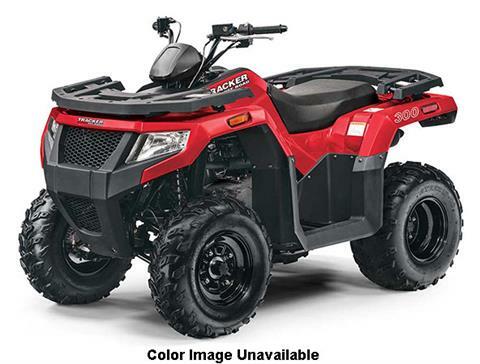 The tough TRACKER 300 delivers extraordinary ability in a 2WD machine. Impact-resistant 50 lb. front rack and 100 lb. rear rack.